A memorial service will be at 6:00 PM Friday celebrated by Sister Joan Franklin at the Fox Funeral Home, Boardman, for Donald Raymond Joseph, Sr., 72, who passed away peacefully November 25 after a short illness. Donald was born July 26, 1946 in Warren, OH, a son of Joseph A. and Evelyn George Joseph. 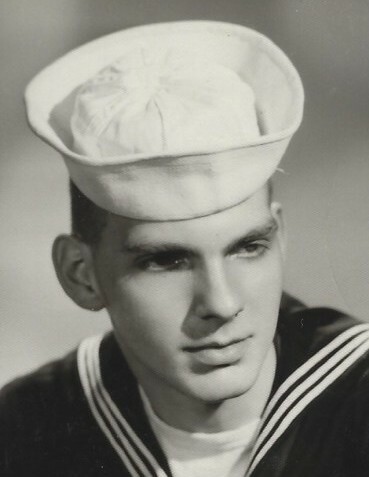 He served in the US Navy, and later worked at GM in the final trim department. He also was a security officer and a police officer with Beaver Township. He enjoyed coaching the Boardman Little Spartans and Little League for over ten years. Don leaves to cherish his memory his wife Rosemarie “Dee” Smith, whom he married on August 14, 1965 at St. Charles Church, children Amy Gonzalez ( Fiancé Danny Cerimele ) of Youngstown and Donald Raymond (Jennifer) Joseph, Jr. of Wilmington, NC, a brother James (Ellie) George, sisters Kimberly and Carole George, five grandchildren Alexandria Vouvalis, Ashley ( Nick ) Belcastro, Taylor Gonzalez, Jessica Joseph and Jenna Joseph and two great grandchildren Dominic and Madilyn Belcastro. He is preceded in death by his parents and grandson Alec Joseph. Friends may call from 4:00 to 6:00 PM Friday at the Fox Funeral Home. Material donations may be sent the Hospice House, 9803 Sharrott Road, Poland, OH 44514. Arrangements are by the Fox Funeral Home, 4700 Market Street, Boardman, OH, 44512.